The end-of-year celebrations will be “hot” or not! Veranda Resorts is preparing an exotic programme, ideal for guests who dream of a real change of scenery coupled with a festive atmosphere to close the year. The holiday season will be definitely “hot” at Veranda Resorts. Combining traditional Christmas festival with Mauritian folklore, our hotels will delight their guests with idyllic tropical decors and convivial celebrations. There will be magic in the air! Grand Baie is the typical coastal village that seethes with excitement as Christmas time draws near. Right in the middle of the festive vibes is the Veranda Grand Baie Hotel – the perfect place to truly live end-of-year celebrations the Mauritian way! On Christmas Eve, guests will be invited to sit back and have a drink under the stars, in front of the splendid bay view, while enjoying living Nativity scenes and Christmas Carols, before they head to Mon Plaisir Restaurant for a generous Christmas buffet. On the 25th, a brunch will be served alongside Christmas presents distribution and a special prize draw. Finally, those who wish to celebrate the New Year till the break of dawn will be pleased: on the 31st, there will be a beach cocktail with background music from a jazz band and an exceptional buffet at Mon Plaisir Restaurant, followed by a multicultural show, fireworks and dancing. To add up to the season’s tropical feel, local fruity cocktails will be served everyday at Veranda Grand Baie, allowing guests to discover the great variety of exotic flavours available on our island! A real love nest, Veranda Paul & Virginie offers couples a more intimate and ideally romantic setting to celebrate Christmas and the New Year. Veranda Paul & Virginie – Ideally romantic setting to celebrate Christmas and the New Year. A very special programme will be put together for the very special guests of the hotel on Christmas Eve: gala dinner, background music, casual chic ambience… The evening programme will continue with a dancing party for those who wish to dance the night away. 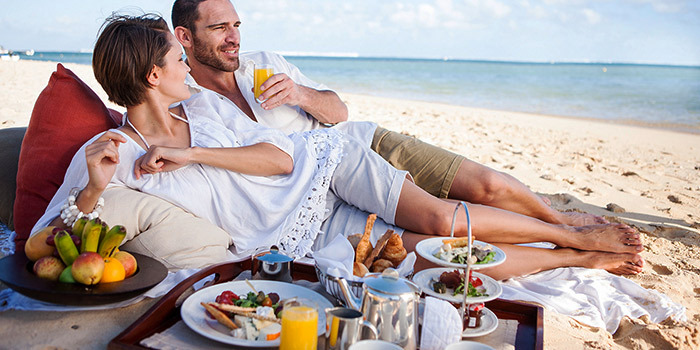 The next day, couples will meet at the Saint Géran – located on the beachfront – and relish in the restaurant’s beach-themed dishes in front of the beautiful ocean scenery. New Year’s Eve will be celebrated on a very tropical note with a festive “La Faya” buffet, especially designed for the occasion, and a singing quartet. The dinner will be followed by fireworks and dancing. Just like at Veranda Grand Baie Hotel, fruity, colourful and exotic cocktails will be served at Veranda Paul et Virginie for guests to discover typical flavours of the Mauritian culture. Ideally located on one of the island’s most beautiful beaches, Veranda Palmar Beach provides a lush seaside backdrop to those who are looking to end the year on a paradise cove. The Christmas Eve programme will bring together tradition and exoticism to the delight of the hotel’s guests. It will start with living Nativity scenes and Christmas Carols, and continue with a sea-inspired buffet, the Kid’s Club Christmas show, live music and gifts distribution by Father Christmas. On the 25th, a special buffet will be served at the Regatta restaurant, featuring a live band and a Christmas show as well. New Year’s Eve programme will highlight Mauritian culture with a tropical buffet at the Regatta restaurant and a special “culture of the islands” entertainment. It will be followed by fireworks and dancing to celebrate the New Year in style. During the whole holiday season, Veranda Palmar Beach will indulge its guests with tropical treats: lemongrass ice-tea, tamarind juice, fresh fruit skewers… A delicious introduction to Mauritian flavours! Veranda Pointe aux Biches provides guests with the opportunity to spend the last days of the year in a laid-back atmosphere, feet in the sand, to the rhythm of the islands. Summer inspiration for the Christmas celebrations with a culinary journey at the Senses restaurant and music from a talented jazz quartet. The 25th programme will highlight the most popular island fruit: coconut! 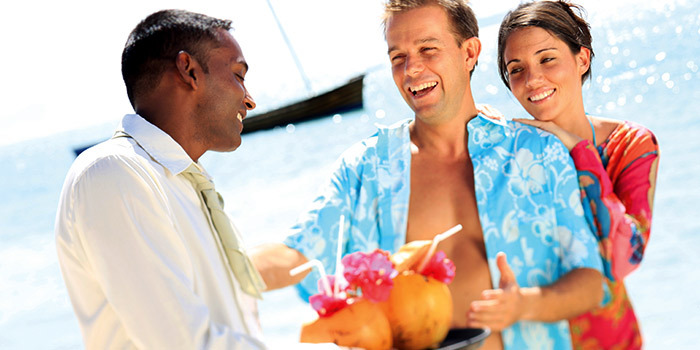 A major ingredient in Mauritian culture, coconut will be served in a variety of preparations all day through. This totally exotic touch will be the hallmark of a one-of-a-kind Christmas! The hotel will host an typically Mauritian fiesta on New Year’s Eve, including sega dancing on the beach, flavourful buffet and – of course – a bright and inviting atmosphere! As an extra treat, the hotel reserves its guests the daily tasting of local fruit in all forms: slices, juice, fruity tea or flavoured rum. Veranda Pointe aux Biches’ guests will discover a different fruit each day! Veranda Resorts’ four 3-star + hotels offer to celebrate Christmas and the New Year differently: guests will discover the tropical pleasures of Mauritian summer in a warm atmosphere: seasonal fruit, exotic cocktails, sunny weather, powder white beaches and turquoise sea! This year again, Heritage Resorts is preparing a rich and diverse program for its guests to finish the year on a high note and start 2015 in happiness and good mood. Let’s have a look at what’s coming up. Especially designed by Heritage Resorts for the end-of-year celebrations, the “Delicious Christmas” concept puts forward the richness and originality of the Domaine de Bel Ombre’s culinary experiences. Those who choose the Mauritian summer to spend the holiday season will enjoy a great choice of festivals. The C Beach Club will be at the heart of the festivities: its long white-sand beach and trendy setting are all you need to make your holidays in Mauritius memorable! It will host themed events such as a casual family Christmas lunch and buffet, coupled with several sport activities: petanque, beach-volley, water sports… So, get ready for a one-of-a-kind Christmas at the C Beach Club! On the 24th of December, a delicious Christmas dinner prepared by our 3 chefs will be served at the C Beach Club and in our hotels’ main restaurants: the Annabella’s at Heritage Le Telfair and Le Balafon at Heritage Awali. This six-hand composed menu will leave a lasting impression in our odd-loving guests. The C Beach Club is the place to be for those who like to party. To celebrate the New Year, the club will host an exciting “Tutti Frutti” themed dinner and party with a special DJ from Paris and a colourful “Fruitilicious” dress code. 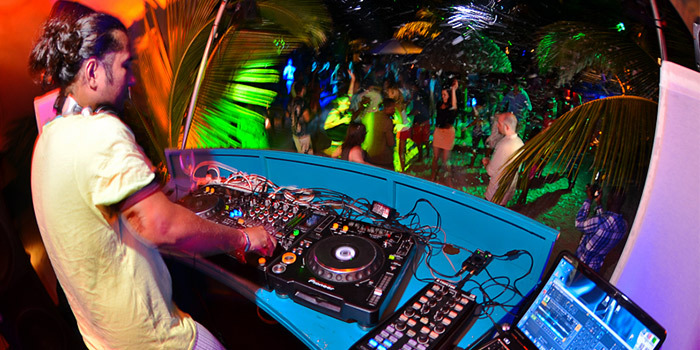 A traditional sega night around a campfire will take place on the beach, for those who like to dance under the moonlight, and the celebrations will last till the end of the holidays with the Splash Beach Party and its special guest DJ from Paris. For those who think holiday season and family tradition go hand in hand, the Château de Bel Ombre’s intimate setting and special program will allow them to share precious moments with their family or their partner. 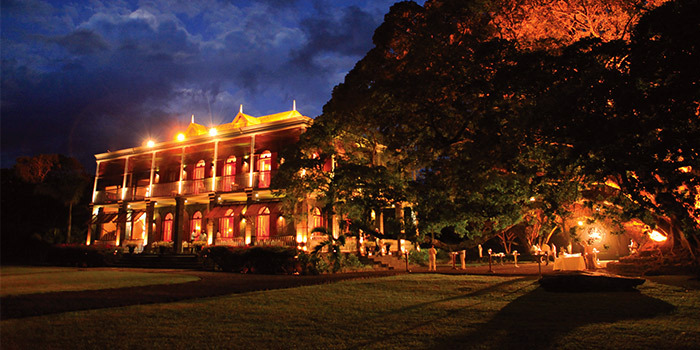 Heritage Resorts guests will be able to enjoy a traditional Christmas Eve dinner in the sumptuous décor of a 19th-century mansion, away from the seaside revelry. Those who wish to pursue on an elegant note may appreciate the New-Year’s Eve gala dinner at the Château de Bel Ombre – a unique occasion to taste distinctive dishes prepared by Chef Ravi and his team, while enjoying live music. Dress code: formal and chic! All provisions are made at Heritage Resorts to ensure every guest a fantastic stay. At the Timomo Kids Club, our young guests will decorate a Christmas tree, and on the 25th of December they will meet Father Christmas in the morning – a magical moment that will be forever engraved in their child heart. Teenagers will also have their own glorious time: the Cool Teens Clubs will throw a special dance party with DJ for them at Heritage Le Telfair. Could you imagine Christmas without a Christmas market? From the 20th to the 27th of December, the Place du Moulin will be home to the “Ti Bazar”, which features a large choice of wonderful local handicrafts and gift ideas, as well as a children corner. It is a must for families who wish to experience the true spirit of Christmas! 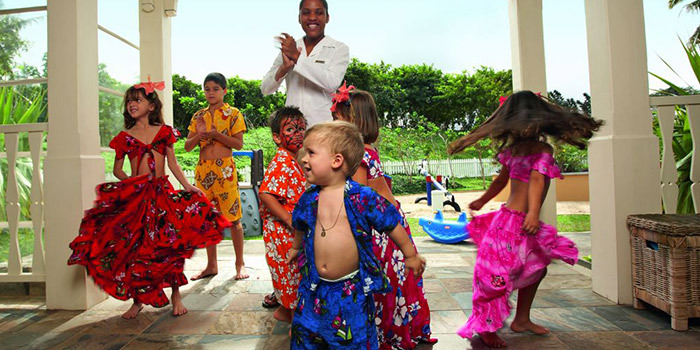 The Domaine will host various activities to bring about new ways to celebrate: laugh therapy with Father Christmas for all families, manicure and nail decoration workshops to be ready to party down to the finger nails, and Delicious Christmas coconut-based treatments at the Seven Colours Spa. The end-of-year celebrations are also an ideal occasion to put forward the local flavours and ingredients of the Domaine, as well as the famous tropical products in Mauritius. This is the right season to enjoy tropical fruit in abundance and indulge in rich and exotic tasting! 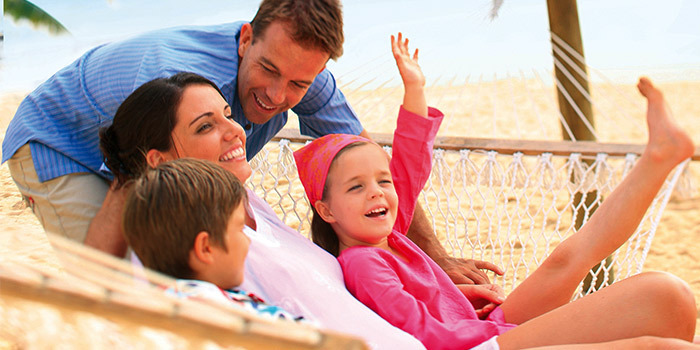 Heritage Resorts includes two 5-star hotels and luxury villas located on the Domaine de Bel Ombre. In addition to exciting facilities such as the Frederica Nature Reserve, the Heritage Golf Club and the C Beach Club, the Domaine gathers a total of 12 restaurants offering a great choice of local, international and fusion cuisine.